I realised when I started running a bath the other day that I had run out of LUSH goodies, cue lots of pre-bath panic. Luckily I had some boring bath soak so it was all ok in the end, but I knew I needed to go LUSH shopping that weekend, so that's what I did! I had to refrain from taking millions of photos because they're just so damn pretty aren't they? The Comforter Bubble Bar, £4.75: Bubble Bars are my favourite because you can use them numerous times and they create so many bubbles. I decided to get this gorgeous delight after seeing Kate's post and it's just SO HUGE; it's literally bigger than my palm. I'll definitely get a lot of use out of this. Not only is it easy on the eyes, but I love the fruity scent and it's meant to be really soothing. Mmmelting Marshmallow Moment Bubble Bar, £3.95: Even though this little gem isn't the most eye catching, I decided to add it to my basket because like LUSH says it, "brings to mind dolly mixtures and candy floss" as it smells so lovely and sweet. Not only does it smell gorgeous, it contains camomile powder and cocoa butter so leaves you feeling super soft! I was so happy with my little bath additions and now I just want a bath every night! What bits do you love from LUSH and have you tried any of these? The multicoloured bath bomb looks amazing!! 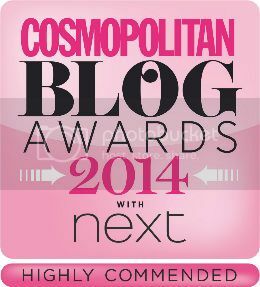 Also, huge congrats on your blog award, I've only just discovered you through the cosmo website but I will be following your channel and blog from now on! There's always a reason to go to Lush ! I love their bath bombs so much and the smell, oh my !